“So often young girls and women have been raped along the dark community roads, with no one to rescue them but we are certain that with the opening of these community access roads more people will get to use them, security will be enhanced and less of such cases shall be reported” thus remarked the women of Aketo Kuma Women group in Paibona, Awach Sub county, Gulu District. 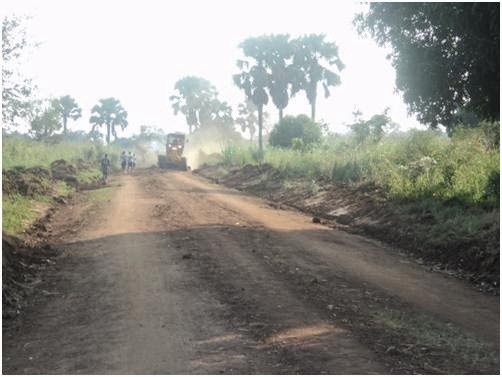 The women group demanded for the rehabilitation of the 12km road from Awach trading Centre to Paibona village from their Sub County leadership following several unfortunate incidences and difficulty in passage had been reported. Aketo Kuma women group is an empowered and vibrant group under GWED-G geared at promoting the observance of human rights through conducting community led human rights initiatives on issues concerning the community especially women and girls. With support from IDF the group through GWED–G has been able to continuously promote women’s rights and gender equality, and also use the different human rights instruments to demand for socio-economic rights and cause positive change in their sub county. Having raised the issue in the previous quarter to their leaders, the women continued to follow up, remind and pressurise their leaders to rehabilitate the road in question. 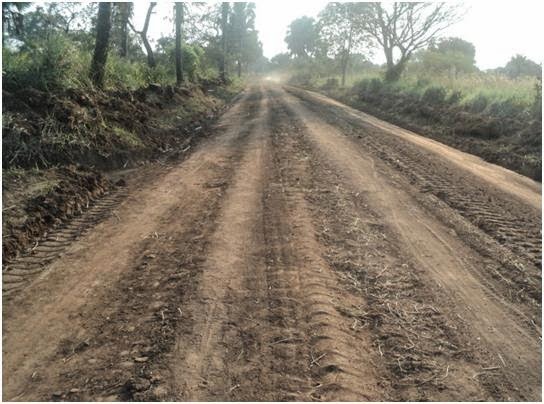 In response to their plea, Awach Sub County leadership contracted Got Apwoyo Engineering and Construction Company to rehabilitate the road. Currently work is going on and will be completed soon. Field monitoring visits of the road observed good progress of the work, active and functional graders and caterpillars doing their last grading. The group’s activism has restored hope amongst the locals, and also made the leaders and GWED-G proud of the women’s contribution to development in the area. According to the LCIII Chairman he is happy that the women mounted pressure on them because they have finally been able to address a long standing issue that could even have even cost him his political ground. “‘I had even feared to reach out and sensitize the community in Paibona because all issues and questions would be about this road” he revealed. It is clear that GWED-G activism is being felt in the community; this was evidenced in the overwhelming turn up of the citizens for the community dialogues held this quarter in Paibona village. Besides the road project, the community is grateful to IDF/GWED-G for it’s continued efforts in empowering women with knowledge on human rights issues and economic sustainability. Reports indicate that this has encouraged other women to form groups and demand for human rights education trainings.